The Alterna Vent-free FireStones are designed to fit into the location slots in the AFS hearth chassis. FireStones are made from high-heat resistant refractory concrete that will not explode, like real stones will do in a fire. The patterns for FireStones were real stones, selected for their size, shape and character. Select the color you desire. 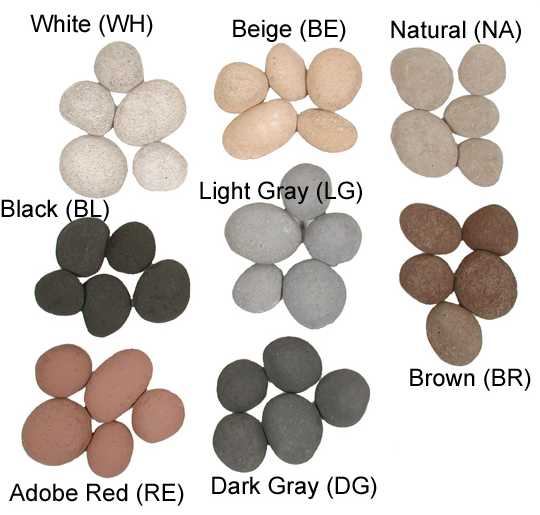 Click the button below to add the Vent-Free FireStones - AFS20 Single Color to your wish list.